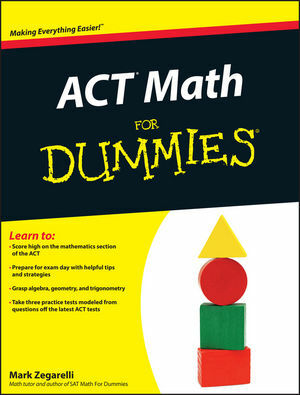 ACT Math For Dummies is your one-stop guide to learn, review, and practice for the test! Mark Zegarelli is the author of Basic Math & Pre-Algebra For Dummies, SAT Math For Dummies (both from Wiley), and five other books on basic math, calculus, and logic. He holds degrees in both English and math from Rutgers University and is a math tutor and teacher.